After seeing this duck lips, it was pretty sure that this lady didn’t want to be left behind amongst the list of Bollywood celebrities who went for plastic surgery. But unfortunately she failed. Gauhar Khan’s plastic surgery must have been a big time regret for her. This might come to a shock to most of you that Gauhar Khan had to drop out from a fashion show because of her lip job that went bad. One of the worst and first victims of this technology in Bollywood is Koena Mitra. 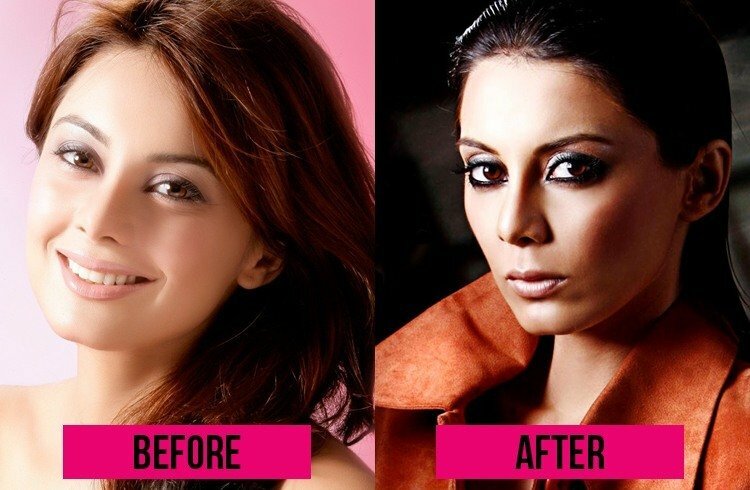 Her story of surviving a disastrous nose job due to which she had to pay off her Bollywood career is no more a secret. One bad decision ruined her life and career. This attention seeker went under the knife multiple times for liposuction to breast implants to shaping the jaw line, nose job, and eyelid enhancements. Due to the plastic surgery, Rakhi Sawant looks more plastic. Bust interestingly, she is one of the few actresses, who have always been upfront about her plastic surgeries. In the popular TV chat show, Koffee With Karan, Rakhi had also said that a doctor can give you what God hasn’t. 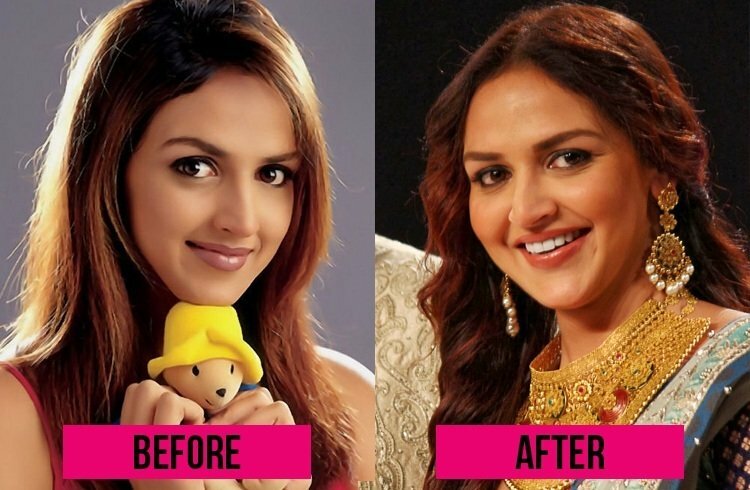 Another lip job disaster among Bollywood celebrities is Esha Deol. She undoubtedly was much more prettier before her surgery. She was known for her cuteness which had no comparison during her acting days. The actress just became another victim of the technology. Apart from the bad nose job, the heavy botox has left her unable to retrieve the heart-felt smile she used to have on her face. In an attempt to chisel it, her doctor actually elongated her nose, thereby ruining her natural beauty forever. This is something really unbelievable. 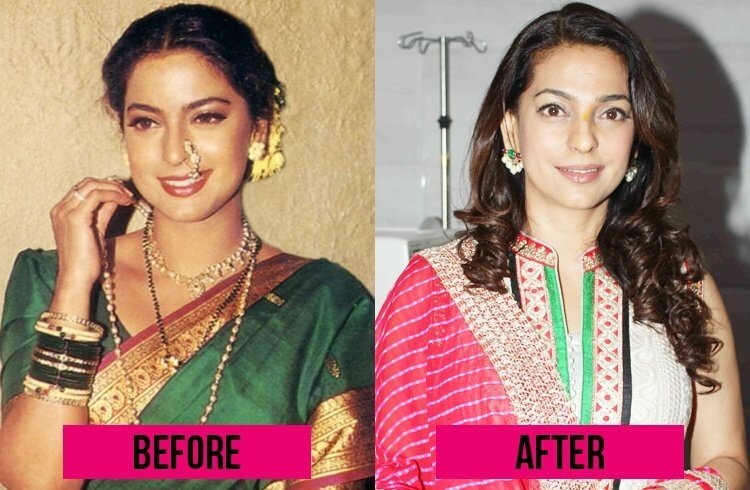 Who can imagine the natural beauty and ‘ Dream Girl ‘ of Bollywood would actually go for something like so artificial. 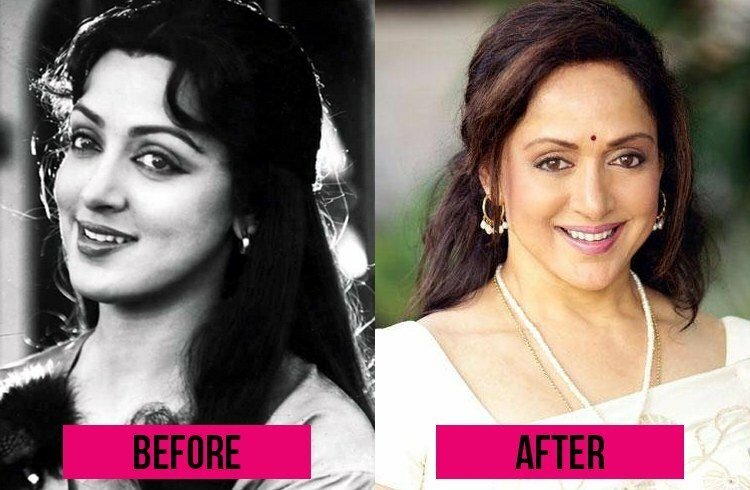 Even though the botox worked for her making her look beautiful than her age, she is really having some hard times to even pass a smile through her stiff facial muscles because of the side effect. Another pretty face gone bad after a bad plastic surgery. The strange part is even after so many disaster stories people still go forward and take risk. Comment below and share your thoughts about this failed experiments.